The Tile Shop Lombard inspires you to imagine what's possible - with over 4,000 handpicked products from across the world to create beautiful settings to delight you for years to come. 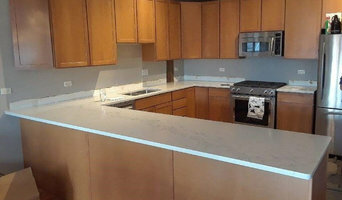 Here at Chicago Granite & Cabinet we have a wide variety of top quality products and accessories that will assure your project is a complete success. Located in Elk Grove Village, IL, Granite Selection specializes in natural stone fabrication and installation of fine custom bathroom and kitchen granite countertops, marble vanities, shower walls, fireplace surrounds. From granite slab fabrication to artistic tile installation, we take great pride in our craftsmanship. 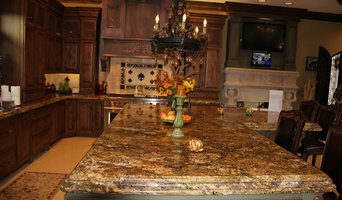 We strive to provide outstanding customer service and install high quality granite countertops. We specialize in cleaning Porcelain and ceramic tile floor along with the cleaning and restoration of natural stone (Such as marble, limestone, terrazzo, and granite), fine fabrics, and textiles. CSI-Absolute Clean combines professional knowledgeable technicians, eco-friendly products, and the most cutting edge and state-of-the-art equipment available to the industry for your needs. We pride ourselves in comprehensive screenings and assessment processes to ensure our results exceed industry standards. Our services are customized to meet your needs. Tile, stone and countertop projects might not sound especially complicated, but they can be surprisingly hard to get right. Seeking expert assistance can help homeowners save time, money and frustration. Contractors who specialize in this field are trained to install and repair tile and stone surfaces in your Melrose Park home, from flooring to backsplashes, as well as countertop materials such as solid surface, granite and marble. In addition to basic surfaces, many Melrose Park, IL tile, stone and countertop contractors can create and install murals and mosaics, as well as add decorative edge treatments to countertops. They also repair or replace surfaces in the event of chips, cracks, stains or other damage. Many tile, stone and countertop professionals also install shower pans, radiant-heat flooring systems and other common components of surfacing jobs, often working in tandem with Melrose Park, IL plumbers or other professionals. Here are some related professionals and vendors to complement the work of tile, stone & countertops: Interior Designers & Decorators, Architects & Building Designers, General Contractors, Kitchen & Bath Designers, Design-Build Firms. Find a tile, stone and countertop contractor on Houzz. Narrow your search in the Professionals section of the website to Melrose Park, IL tile, stone and countertops. You can also look through Melrose Park, IL photos to find tile, stone and countertop projects you like, then contact the contractor who worked on it.